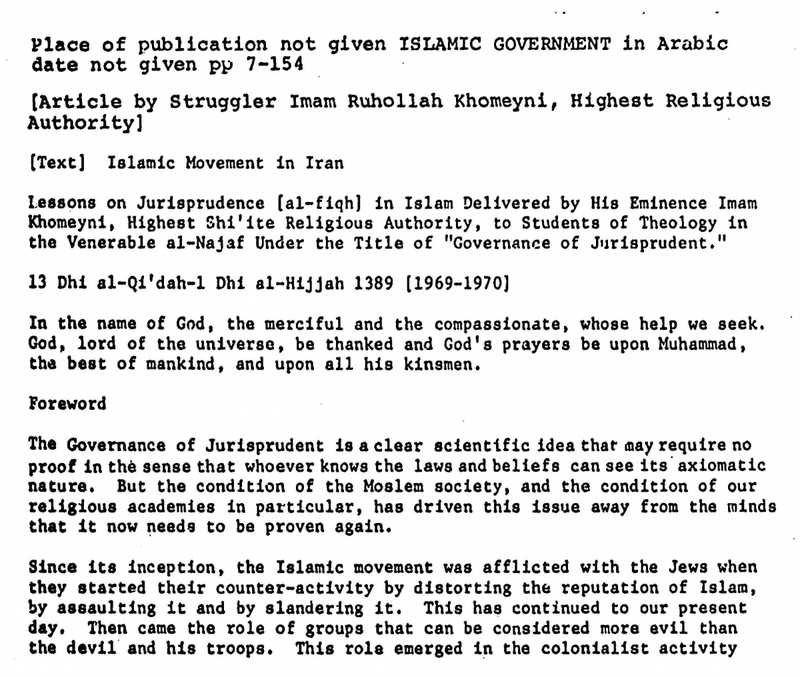 He ended a 2500-year monarchy in his country, deposing Shah Mohammad Reza Pahlavi in the process. 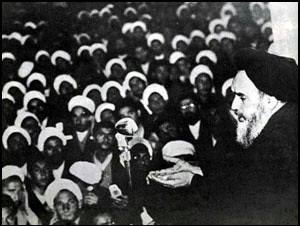 He coined the term “Great Satan” in response to American intervention in Iran. 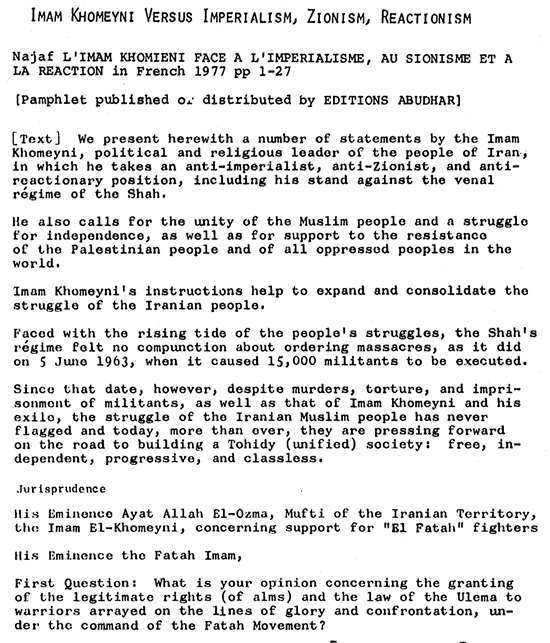 Under his regime Iranians stormed the American Embassy, taking (and ultimately releasing) 52 hostages in 1979-1981. He was Time magazine’s “Person of the Year” in 1979. 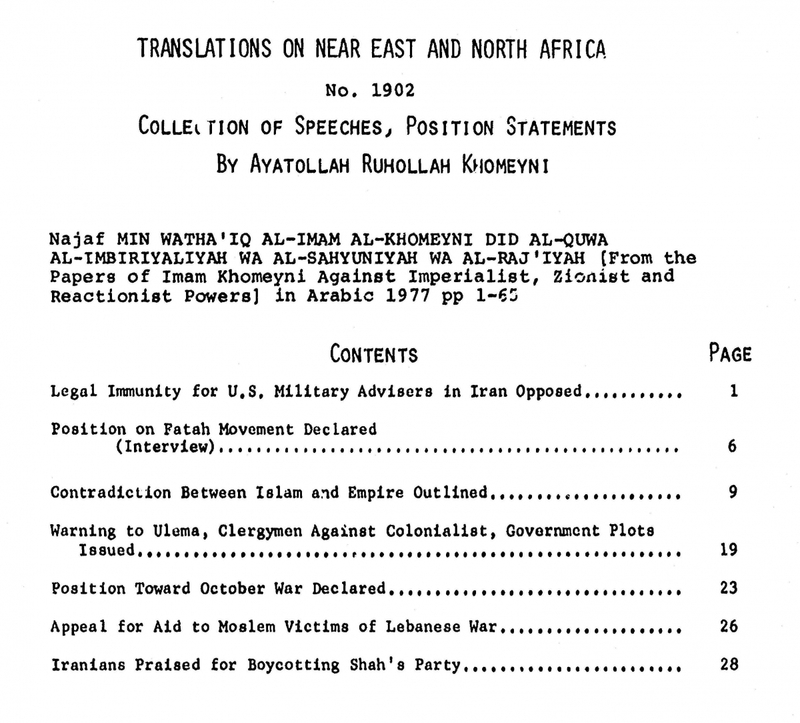 He issued the fatwa calling for the death of Salman Rushdie, and he invited Soviet President Gorbachev to consider Islam as an alternative to communism. 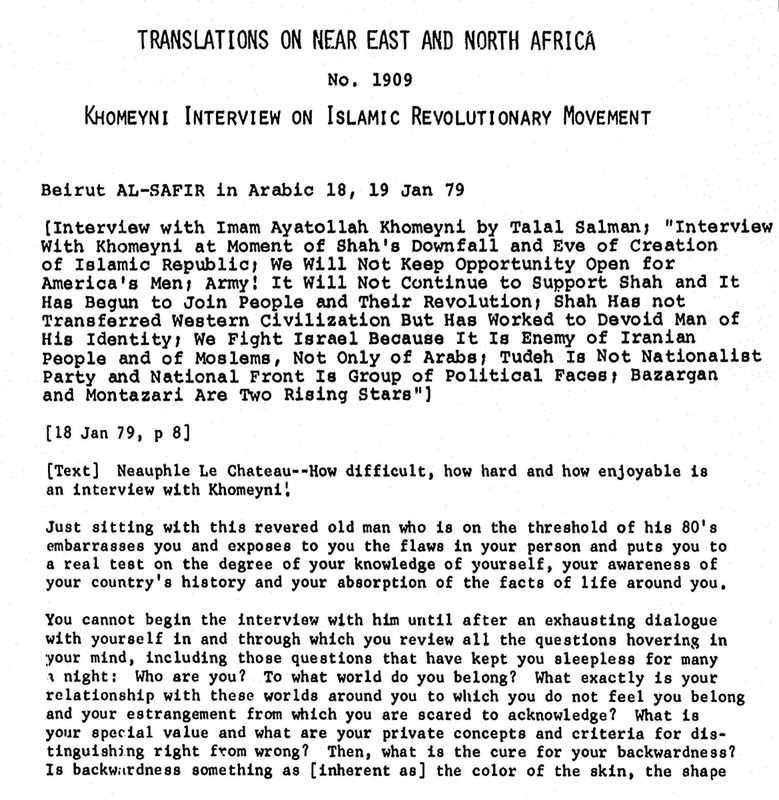 Khomeini was clearly a man of strong opinions who was not afraid of the spotlight. 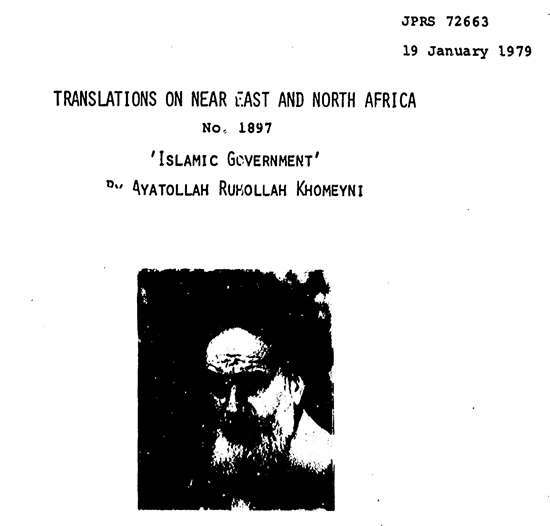 In the selections below from the Translations on Near East and North Africa series in Joint Publications Research Service (JPRS) Reports, Khomeini appears in a more distilled form, no less zealous but further from the barricades. His firebrand rhetoric is still here, but his early writings especially show him to be a serious legal and religious scholar, devoted to his people and his faith.